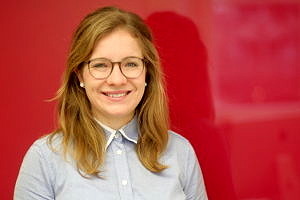 Laura Therese Harth is a member of the Chair of Corporate Sustainability Management since December 2017 at Friedrich-Alexander-University Erlangen-Nuremberg. At our chair, she is the contact person for Teaching Programmes and International Exchange Support. Ms. Harth teaches the “Introduction to Sustainability Management”-Tutorial as well as the Research-Seminar “Value-oriented Sustainability Management”. Among research interests are topics like climate change and environmental protection in connection with inherent economic processes, value-driven cooperations, and cross-sector-cooperations. Her specific research interests are cooperations between profit- and non-profit-cooperations, especially value creation of those partnerships and their communication, mostly in the food sector.